Roosebeck 8.5 Inch Bodhrán Tipper Cipin 2 Knob Sloped. 8.5" Tipper Cipin with two elongated knob-ends. this is a sleek Tipper Cipin with a smooth profile. The Tipper Cipin is swung back and forth against the head of a Bodhrán to create lively rhythmic patterns. A Tipper Cipin is also called a: bone, beater or cipin. The comfort and grip for each Tipper Cipin is unique. You can also expect different sounds from different styles of tipper. So try a few! 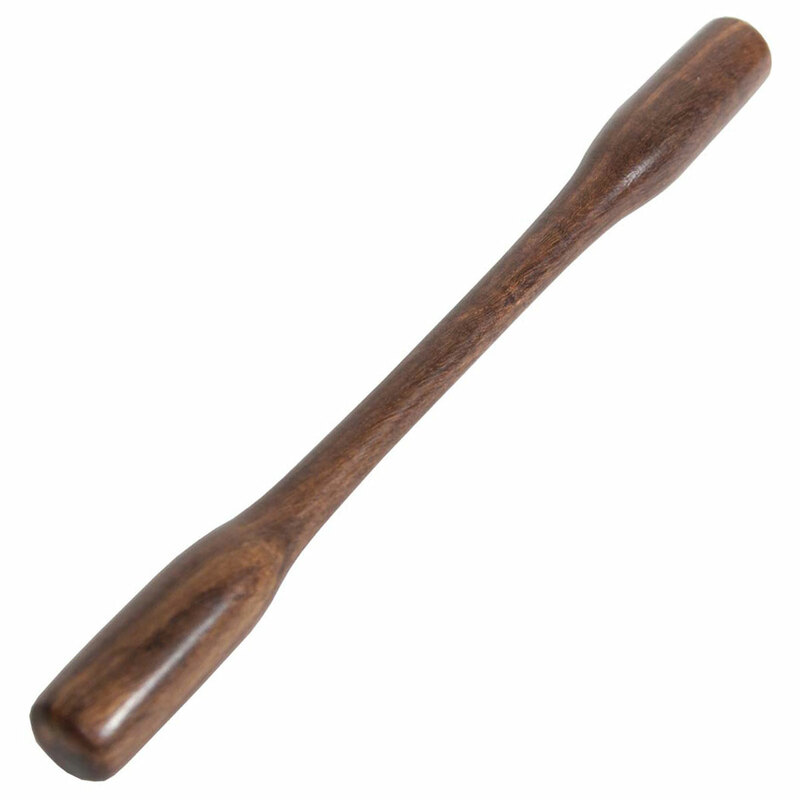 Note: Each Tipper Cipin is made from solid wood and hand turned on a lathe. therefore the profiles of the ends may vary slightly from the photograph. 8.5" long x 1/4" mid-shaft x 3/4" knobs.